This is similar to AIS but via satellite. The ship's position is reported to the owner's headquarters, or for regulatory purposes to the flag authority of the vessel at six hour intervals. This is required by passenger ships, cargo ships, and mobile offshore drilling units and larger motor yachts over 300 tons athat are commercially licenced to carry pacengers. LRIT compliance requires that vessels automatically transmit their identity and date and time-stamped position at regular intervals. The Skywave LRIT terminal requires only a DC voltage supply, and the terminal does all the rest once you have registered your system. This is done through a company called Pole Star in the uk. 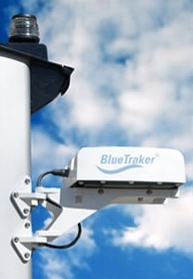 The Faria WatchDog 750 Iridium Satellite Long Range Identification and Tracking System provides worldwide LRIT tracking systems for all required vessels operating in near-coastal Sea Area A2 and in polar Sea Area A4 via the Iridium satellite network. 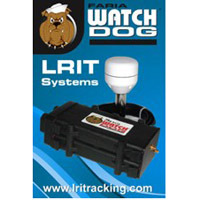 Faria WatchDog 750 LRIT terminal is a state-of-the-art Iridium Satellite and 16-channel GPS Long Range Identification and Tracking System. 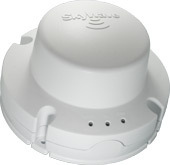 The WatchDog is a rugged, low-power-drawing, compact and weather-resistant LRIT terminal. The WatchDog LRIT System comes as a complete kit including omni-directional Iridium and GPS antennas, antenna cables and mounts as well as all required harnessing for fast and easy installation. 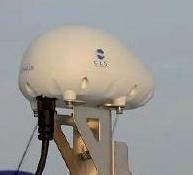 The WatchDog terminal is typically mounted in the wheelhouse and the antennas are mounted atop the vessels with a clear view of the sky. Thuraya can be used for LRIT within the Thuraya footprint of coverage, which includes Africa, Europe and the Asia and Austarlia regions. It can also be used for voice calls and has an attachment that allows group3 faxes. 21896 visits to this page since 28 Nov 2012.